I’m posting a little late today; we’ve been exceptionally busy the past couple of days! Better late than never, right? 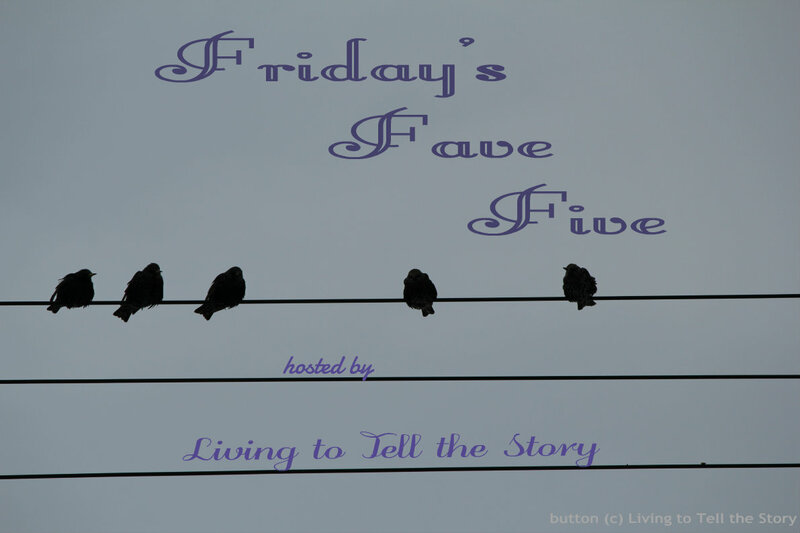 Joining Susanne at Living to Tell the Story with my FFF. 2. I ran across what is becoming my favorite quote yet again. This time, it was in an Etsy shop. 3. Favorite search. 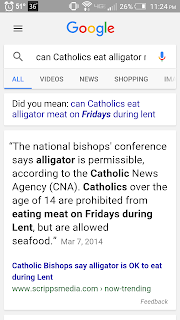 MS & I had a discussion about some foods, and being able to eat alligator on Fridays during Lent came into question. I inserted it into Google and got a response. I ran into a high school friend & his wife on Sunday night. CH & I were eating at our usual Sunday night Mexican Restaurant. He came up to me, said my name, and said, “You don’t know who I am, do you?” It took me about half of a minute before I realized who it was. 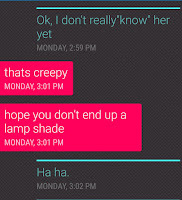 I don’t think I’ve seen him since I graduated from high school, and I had never met his wife. They sat down and chatted until our food came, and it we talked like we had known each other forever. We (the high school friend & I) lived away and came back to the Small Town after 20+ years. 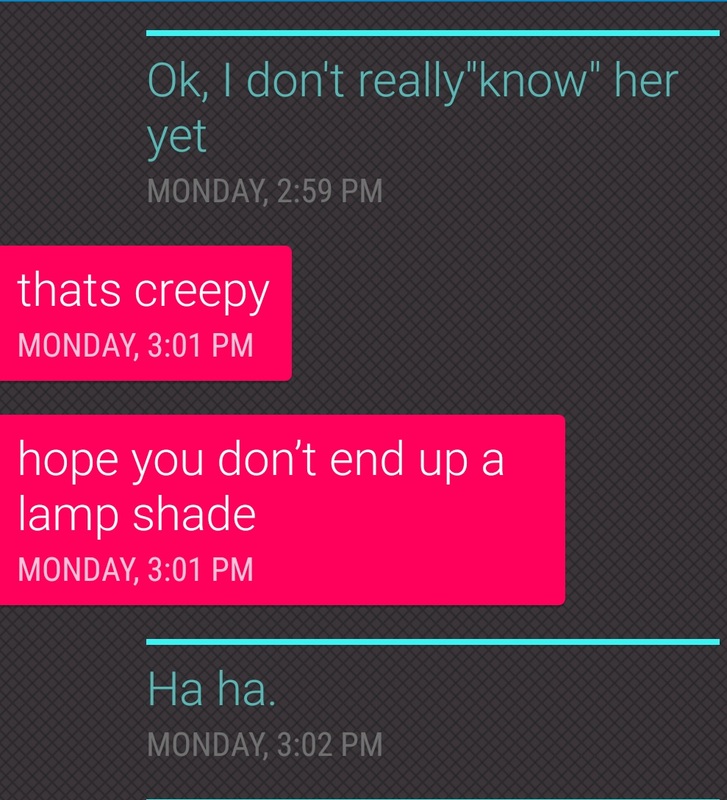 Giggling over the text...a lampshade...priceless. Now wait, isn't seafood meat? AND Alligator is not seafood (and I hope you know I am saying in jest and teasing you). Thank you for the smiles... have a beautiful rest of the weekend. 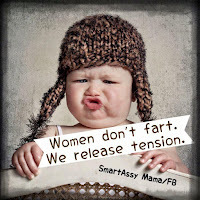 That is a lovely quote. Really, alligator is okay to eat. Isn't really sea food??? Love the fart joke. Alligator is okay? I would have said no, but I am not the bishops! 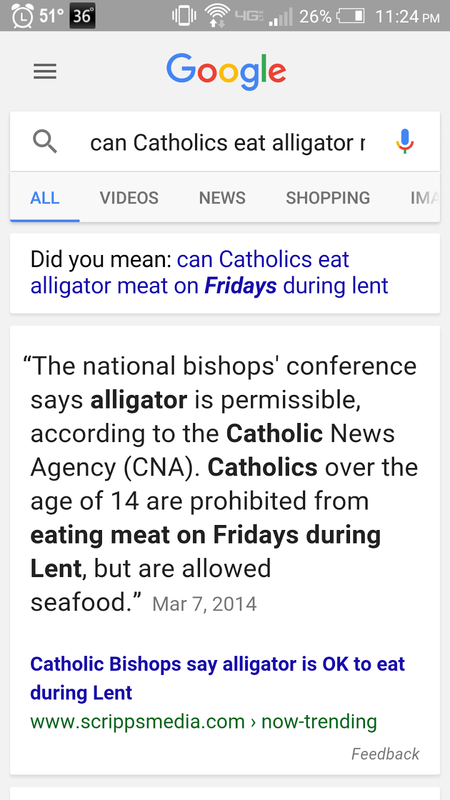 Alligator is seafood? Who knew?! How interesting to run into someone you haven't seen since high school. I wonder how many people I would recognize. Laughing over #4. Wow, what fun to run into an old high school friend. I loved that quote from St. Catherine.